What is RSS" | Why Bookmark"
169-255 passing for 2,366-yards, 17-TD’s. 136-Tackles, 24-TFL, 9-Sacks, 20-QBP, 3-CF, 1-FR. Career: 278-Tackles, 53-QBP, 48-TFL, 4-CF, 2-FR, 18-Sacks. Graded 97%, 0-Sacks Allowed, 18-Pancakes. 237-395 passing for 3,351-yards, 35-TD’s. (All-Time Passing Yards Freshman Record). District Newcomer of the Year. 109-Tackles, 21-TFL, 5-Sacks, 1-FR, 3-CF. When you take over a program like Mart, you know the expectations and you know the standard of excellence leading the Panthers tradition-rich program. After six-years as the offensive coordinator, including being on staff during Mart’s 2010 state championship win against Goldthwaite, Hoffman took over as head coach at Mart and in his third-year, led the Panthers to their sixth-state championship with a dramatic 34-21 comeback win against Refugio at AT&T Stadium in Arlington. Hoffman’s 2017 team averaged 55.2-points per game and allowed only 10.3-points per game (including five shutouts). Tanner Mordecai. 6-2, 215, Sr., QB, Waco Midway, 303-506 passing for 4,395-yards, 53-TD’s, 185-carries for 1,135-yards, 22-TD’s. District MVP. Marquez Perez, Sr., QB, College Station, 202-carries for 1,645-yards, 31-TD’s, 169-255 passing for 2,366-yards, 17-TD’s. Ja’Kobe Cooper, 5-8, 170, Jr., RB, Lexington, 266-carries for 3,140-yards, 37-TD’s. Tyrek Horne, Jr., RB, Mart, 159-carries for 2,090-yards, 26-TD’s, 10-catches for 228-yards. District Offensive MVP in 2016. Tayvis Coleman, 5-11, 172, Sr., RB, Teague, 245-carries for 2,089-yards, 23-TD’s. 10-catches for 126-yards, 1-TD. Unanimous District MVP. Career: 577-carries for 4,425-yards, 60-TD’s, 40-catches for 238-yards, 1-TD. Ta’Ron Smith, 5-7, 170, Jr., ATH/QB, Milford, 124-carries for 1,846-yards, 28-TD’s, 131-177 passing for 2,486-yards, 52-TD’s. 7-catches for 119-yards, 4-TD’s. Chase Hill, Sr., ATH, Live Oak Classical, 146-carries for 1,363-yards, 21-TD’s, 32-catches for 642-yards, 9-TD’s, 96-162 passing for 1,879-yards, 34-TD’s. Tyrick James, 6-2, 237, Sr., TE, China Spring, 42-catches for 880-yards, 11-TD’s, 90-carries for 497-yards, 13-TD’s. District MVP. Trey Sheppard, Sr., FB, Salado, 234-carries for 1,718-yards (7.3), 31-TD’s. 1st-Team All-District. CJ Williams, 6-2, 175, Sr., WR, Midway, 103-catches for 1,731-yards, 23-TD’s. Xavier Johnson, Sr, WR, Temple, 64-catches for 1,212-yards, 17-TD’s. Marcell Estell, 5-9, 165, Jr., WR, Bosqueville, 98-catches for 1,085-yards, 15-TD’s, 81-carries for 712-yards, 12-TD’s. 1st-Team All-District. Floyd Connell, 6-2, 180, Sr., Copperas Cove, 71-catches for 1,015-yards, 9-TD’s. District Offensive MVP. Seth Kohlschen, 5-10, 275, Jr., OT, Crawford, top-rated OL on a team that rushed for 240.3-yards per game, 347.9 yards per game overall. Graded 90% throughout the entire season. 3-Time All-District OL. Freddie Williams, Sr., Guard, La Vega, Graded 97%, 0-Sacks Allowed, 18-Pancakes. Marcus Williams, 6-0, 243, Sr., Guard, Teague, 95% grade for the season, 79 pancake blocks, 51 knockdown blocks (offensive unit rushed for 3885 yards and passed for 1729 yards in 2017). 2-Time District Offensive Lineman of the Year. 4-Year starter, 52-career starts, allowed only 2-sacks in 4-years. Kipp Gellasch, Center, Gatesville, Graded 95%. Trevor Scott, 6-2, 205, DE, West, 98-Tackles, 20-TFL, 11-QBP, 1-CF, 11-Sacks, 1-PBU, 1-Interception, 2-Blocked Punts. Unanimous Defensive Player of the Year. Marquis Conchola, Sr., DE, College Station, 94-Tackles, 27-TFL, 12-Sacks, 13-QBP. Jaxon Player, 6-1, 284, Sr., DT, Waco Midway, 136-Tackles, 24-TFL, 9-Sacks, 20-QBP, 3-CF, 1-FR. Career: 278-Tackles, 53-QBP, 48-TFL, 4-CF, 2-FR, 18-Sacks. Will Fannin, Jr., LB, Franklin, 224-Tackles, 1-CF, 16-TFL, 2-Sacks, 1-PBU. Jared Rogers, Jr., ILB, La Vega, 178-Tackles, 5-TFL, 6-QBP, 3-Sacks, 2-CF, 1-FR, 3-Interceptions, 4-PBU. Cooper Baize, Sr., LB, Mart, 182-Tackles, 17-TFL, 3-Sacks, 2-Time District Defensive MVP. Trevor Williams, Sr., LB, A&M Consolidated, 169-Tackles (104-Solo), 2-TFL, 1-Sack, 2-PBU. District Defensive MVP. Romeo Hernandez, 5-8, 155, CB, West, 78-Tackles, 4-TFL, 1-Sack, 1-CF, 1-FR, 3-PBU, 6-Interceptions, 1-Defensive TD. Jermaine Madkins, Sr., CB, Mart, 87-Tackles, 5-Interceptions, 1-FR. State Championship Game Defensive MVP. Donta Stuart, Jr., La Vega, 84-Tackles, 1-TFL, 1-CF, 1-FR, 9-Interceptions, 2-Defensive TD’s, 13-PBU. Garrison Vaughn, Sr., S, Belton, 79-Tackles, 4-Interceptions, 2-CF, 2-TFL. Trevius Hodges, 5-10, 175, Jr., Safety, Midway, 97-Tackles, 2-FR (1-TD for 91-yards), 5-CF, 4-Interceptions (1-TD for 81-yards), 4-PBU, 1-TFL. Morgan Button, Sr., P, Ellison, 48-punts for 40.0-average, 17 punts inside 20. 1st-Team All-District as Punter and Kicker. Alik Brooks, KR/PR, Marlin, 10-KR for 42.2-average, 2-TD’s, 3-PR for 40.0-average, 1-TD. District Special Teams MVP. Marcell Estell, Jr., KR/PR, Bosqueville, 15-KR for 28.3-average, 2-TD’s (Long-80), 5-PR for 23.6-average, 1-TD (70). Caleb Clarkson, Sr., Midway, successful on 97 of 101 snaps in 16-games. Craig Dawson, Midway, 25-Special Teams Tackles, 2-CF, 1-FR. Antonio Brunson, Ellison, 21-Special Teams Tackles, 4-CF, 1-FR. TJ Rumfield, Sr, QB, Temple, 244-396 passing for 3,374-yards and 35-TD’s. Jace Terry, Sr., QB, Mart, 122-203 passing for 2,267-yards, 33-TD’s, 127-carries for 1,018-yards, 18-TD’s. District Offensive MVP in 2017, District MVP in 2016. James Fullbright, 5-8, 205, Jr., RB, Waco Midway, 258-carries for 1,847-yards, 20-TD’s, 27-catches for 202-yards. Marc Gutierrez, 5-10, 195, RB, Clifton, 247-carries for 1,981-yards, 28-TD’s. 2-Time District MVP. Career: 624-carries for 4,459-yards, 61-TD’s. Brandon Madison, 5-11, 205, RB, Centerville, 282-carries for 2,329-yards, 28-TD’s, 2-catches for 52-yards, 1-TD. Shatydrick Bailey, Jr., RB, Mart, 70-carries for 990-yards, 21-TD’s, 31-catches for 484-yards, 11-TD’s. State Championship Game Offensive MVP. JaQuorion Johnson, Sr., QB, Rosebud-Lott, 259-carries for 2,168-yards, 31-TD’s, 399-yards passing, 1-TD. 6-catches for 97-yards, 2-TD’s. District Offensive MVP. Single Game (325-yards rushing and 5-TD’s vs. Florence). Daniel Byrd, 6-3, 235, Sr., TE/H-Back/Fullback, Centerville, 89-carries for 747-yards, 19-catches for 333-yards, 43-Knockdown Blocks. Clayton Rosprim, Jr., FB, Franklin, 225-carries for 1,523-yards, 17-TD’s, 3-2XP, 2-catches for 32-yards. Clayton Deaver, Sr., WR, Tolar, 66-catches for 1,210-yards, 14-TD’s. Derrick Bayer, WR, Gatesville, 65-catches for 1,169-yards, 13-TD’s, 15-carries for 102-yards. D’Yonte Heckstall, Sr., WR, Temple, 67-catches for 957-yards, 11-TD’s. Kendell Moffett, Sr., Slot WR, Madisonville, 74-carries for 554-yards, 10-TD’s, 26-catches for 338-yards, 4-TD’s. 1st-Team All-District Both Ways. Jose Hernandez, 6-0, 195, Sr., OT, Centerville, 81-Knockdown Blocks for a team that rushed for 4,758-yards. Jeremiah Williams, Sr., OT, College Station, Graded 90% over 16-games. Head coach said he’s the best offensive lineman since program began. Santos Murillo, 6-0, 260, Jr., Guard, Clifton, District Offensive Lineman of the Year. 19-Knockdown Blocks, on the field as highest rated OL for 50-TD’s. Jacob Maggard, 6-1, 255, Sr., OG, Teague, Graded 97%, 73-Pancake Blocks, 48-Knockdowns for an offense with 5,614-yards. 2-Time All-District. Daizion Carroll, 6-2, 310, Sr., Center, Midway, graded out at 92% with 72-Pancake Blocks. Clay Riddle, Sr., DE, Italy, 114-Tackles (93-Solo), 20-TFL, 9-Sacks, 4-CF, 5-FR. Braylon Watkins, Sr., DE, La Vega, 83-Tackles, 6-TFL, 10-QBP, 6-Sacks, 3-CF, 2-FR, 4-PBU. Shatydrick Bailey, Jr, DT, Mart, 97-Tackles, 28-TFL, 7-Sacks, 1-FR, 2-CF. Josh Ellison, Jr., DT, A&M Consolidated, 111-Tackles, 9-TFL, 9-Sacks, 2-PBU. 1st-Team All-District. Aaron Allert, MLB, Lexington, 202-Tackles, 8-Sacks. Zamar Kirven, Sr., LB, Mart, 127-Tackles, 29-TFL, 3-Interceptions, 3-FR, 4-CF, 1-Blocked Punt, 1-Blocked FG. District MVP. Brayden Mathis, 6-2, 220, Sr., ILB, China Spring, 143-Tackles, 6-TFL, 2-QBP, 1-Sack, 1-CF, 1-FR, 2-PBU, 1-Interception. Broke school record with 449-Tackles in a career. District Defensive Co-MVP. Jacob Wilk, Sr., OLB, Salado, 87-Tackles, 15-TFL, 3-Sacks, 2-Interceptions, District Defensive MVP. Isaiah Terrell, Sr., CB, La Vega, 54-Tackles, 3-TFL, 1-FR, 3-Interceptions, 1-Defensive TD, 14-PBU. Jaise Oliver, 6-2, 205, CB, Fairfield, 79-Tackles, Shutdown best WR each week. 2-Interceptions. Brandon Joseph, Jr., S, College Station, 119-Tackles, 9-TFL, 13-PBU, 7-Interceptions, 4-FR, 2-Defensive TD’s, 4-Blocked Kicks. Adrian Montelongo, Sr., S, Holland, 51-Tackles, 4-TFL, 1-CF, 2-FR, 5-Interceptions, 2-Defensive TD’s. District Defensive MVP. Nate Floyd, Soph., CB, A&M Consolidated, 39-Tackles, 1-TFL, 6-Interceptions, 8-PBU. 1st-Team All-District. Anthony Avila, K, Troy, 19-19 XP’s, 9-9 FG’s (Long-50). Career: 65-67 XP’s, 19-20 FG’s (Long-50). Brandon Williams, Jr., P, College Station, 13-punts for 41.1-average, 7-inside the 20. Christian Beck, 5-10, 160, Soph., KR/PR, Methodist Children’s Home, 8-KR/PR for TD’s. Averaged 57.0-yard per KR. Colton Pace, Sr., Deep Snapper, Hillsboro, 49 of 52 snaps. Tyler Webb, 6-3, 195, Fresh., QB, Bosqueville, 237-395 passing for 3,351-yards, 35-TD’s. (All-Time Passing Yards Freshman Record?). District Newcomer of the Year. Nathan Gerik, 5-11, 170, QB, West, 115-211 passing for 1,628-yards, 18-TD’s, 152-carries for 1,107-yards, 16-TD’s. 1st-Team All-District QB. Stephon Ester, 6-0, 175, Sr., TB, Wortham, 232-carries for 1,800-yards, 19-TD’s, 17-catches for 107-yards, 1-TD. School records: 40-carries for 334-yards vs. Overton. First 1,000-yard rusher at Wortham since 2009. John Richards, Jr., RB, La Vega, 130-carries for 1,542-yards (11.9/carry), 22-TD’s. Wyatt Young, RB, Jonesboro, 201-carries for 2,679-yards, 45-TD’s, 8-catches for 180-yards, 2-TD’s, 16-25 passing for 273-yards, 4-TD’s. Ta’Von Gwynn, Sr., QB, Ellison, 68-117 passing for 1,078-yards 12-TD’s, 67-carries for 536-yards, 6-TD’s. Alik Brooks, 5-9, 170, Sr., ATH, Marlin, 31-54 passing for 576-yards, 5-TD’s, 73-carries for 1,001-yards, 10-TD’s, 23-catches for 603-yards, 4-TD’s. District MVP. Derrick Shaw, 6-2, 225, Sr., TE, Crawford, 18-catches for 294-yards, 1-TD, key blocker for team that rushed for 240.3-yards per game. Graded 90% or better in every game. Owen Sibley, 6-1, 230, FB, Gatesville, Graded 90% as a blocker, 2-catches for 17-yards. Jake Shaw, 5-11, 170, Sr., WR, Normangee, 63-catches for 1,110-yards, 13-TD’s. Jailen Campbell, 6-2, 180, WR, College Station, 58-catches for 1,071-yards, 7-TD’s. Braeden Arp, WR/ATH, Parkview Christian Academy, 70-catches for 1,512-yards, 27-TD’s. State Championship Game MVP (10-catches for 246-yards, 3-TD’s). Cade Williams, Sr., WR, A&M Consolidated, 63-catches for 846-yards, 2-TD’s. 1st-Team All-District. Hakeem White, 6-6, 295, Sr., OT, Midway, Graded 90%, averaged 4-Pancakes per game. Matt Sparks, 5-10, 220, Guard, West, main component for an OL that paved the way for 10-win season and averaged 250-yards rushing per game. 1st-Team All-District. Charles Booker, 6-1, 290, Jr., Guard, China Spring, Graded 91%, 44-Pancakes, 12-blocks that led to a TD, 3-Cut Blocks. Kellan Stuard, Sr., Center, Bremond, Graded 90%, 22-Pancakes. Logan Hall, Sr., DE, Belton, 70-Tackles, 10-TFL, 2-Sacks. Tyrus Busby, 6-2, 253, Sr., DT, Teague, 79-Tackles, 23-TFL, 6-Sacks, 1-CF, 4-QBP. 1st-Team All-District. Henry Soukup, 6-3, 285, DT, West, 72-Tackles, 5-TFL, 1-Sack, 1-CF, 2-FR, 9-QBP. 2017 District Defensive Lineman of the Year. Matthew Barnhill, 6-0, 205, Sr., MLB, Waco Midway, 152-Tackles, 3-TFL, 4-QBP, 2-Interceptions (1-TD), 2-PBU. Career: 254-Tackles. Kemoche Hobbs, Sr., OLB, La Vega, 130-Tackles, 12-TFL, 5-QBP, 3-CF, 1-FR, 6-PBU, 1-Interception, 1-Defensive TD. Koby Smith, 5-10, 195, Sr., LB, Crawford, 161-Tackles (112-Solo), 11-TFL, 3-Sacks, 13-QBP, 1-CF, 4-FR, 3-PBU, 3-Interceptions (1-TD). District Defensive MVP. Nico Vargas, Soph., LB, Cameron Yoe, 149-Tackles (81-Solo), 10-TFL, 1-Sack, 1-FR, 2-CF. Xavier Abalos 5-10, 170, Jr., CB, Waco Midway, 55-Tackles, 2-Interceptions, 1-FR. 12-PBU. B.J. Sculark, CB, Temple, 38-Tackles, 2-Interceptions, 17-PBU. Jared Pedraza, Jr., S, Franklin, 158-Tackles, 3-CF, 1-FR, 1-Interception, 2-TFL, 14-PBU. Jaquay Martin, 6-3, 210, Sr., SS, Mexia, 93-Tackles, 3-Sacks, 2-CF, 1-Interception. Derrick Bayer, P, Gatesville, 16-punts for 38.6-average (Long-64). 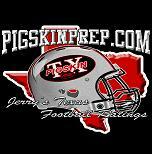 Jailen Campbell, 6-2, 180, KR, College Station, 3-KR for TD’s. Iverson Westbrook, 5-10, 170, Sr., KR/PR, Cameron Yoe, 7-PR for 20.0-average, 10-KR for 24.2-average, 1-TD.